The title of the latest book by Alexandra Robbins ("Pledged," "The Overachievers," "Secrets of the Tomb") "The Geeks Shall Inherit the Earth: Popularity, Quirk Theory and Why Outsiders Thrive After High School" (Hyperion, 448 pages, $25.99) underestimates, if anything, what happens to "Preps" or "Populars" after they finish demeaning others in high school. The jocks and cheerleaders who buy their clothes at Hollister or H&M or Abercrombie & Fitch in the future may end up working for the nerds, geeks and dorks they scorned in high school, Robbins, a graduate of Walt Whitman High School in Bethesda, Maryland, says in what for many people will be a very eye-opening look at today's high school cliques. By the way, her alma mater is named after a brilliant 19th century gay poet who was definitely an outsider. The Band Geek, Noah Giancoli, Pennsylvania, who is alternately branded too serious and too emo, yet annually runs for class president. 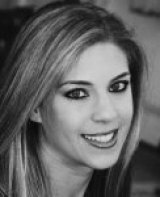 What Robbins doesn't tell us until we're well into the book is that "The Weird Girl," Regan Davis, isn't a student; she's a twenty-something teacher in a Georgia high school. She's gay, originally from Vermont, has a musical performer partner, is bullied by at least one faculty member and is almost universally loved by her students. "Quirk theory," a Robbins coinage, posits that many of the differences that cause a student to be excluded in school are the same traits or real world skills that others will value, love, respect, or find compelling about that person in adulthood, outside of the school setting. Another important coinage that appears throughout the book is "cafeteria fringe," defined by Robbins as people who are not part of or who are excluded from a school's or society's in-crowd. Basically it's everybody but the preps or populars, and may even include some of those, as we discover. There are more clique categories than there were when I was in high school back in the stone age, including floaters (Robbins defines herself as one), emos, indies, rockers, bros, chronics, tanorexics, prostitots, Twihards/Twilight freaks, etc. She says that emos, indies, scenes and Twihards seem to be the most prevalent today. Freddie Prinze Jr.; author J.K. Rowling ("Harry Potter"). Albert Einstein was part of the cafeteria fringe. One takeaway identified by Robbins that surprised me is that many if not most of the teachers identify with the populars, jocks and preps, considering them "normal" as opposed to the denizens of the "cafeteria fringe." This surprised me -- and Robbins, too -- because I assumed that most of the teachers came from the ranks of the cafeteria fringe themselves. If they did, they're apparently not above sucking up to populars, giving students like Whitney more awards, preferential treatment like leads in plays, team captainships and other distinctions selected by teachers rather than students. Why is popularity such a problem? Robbins says because high-status groups are the most rigid and conformist, frequently forcing members to hide their true interests, personalities and beliefs to blend into the group they are less likely to do well in school and more likely to be involved in physical or relational aggression. Too, they are more likely to engage in risky sexual behavior, drug use and drinking. A surprising fact: One of the Columbine shooters, Eric Harris, was a "popular" in Plattsburgh, NY, before he moved to Littleton, Colorado. He played soccer, was in Little League baseball, earned good grades and was even a Boy Scout. Robbins intertwines her fly-on-the-wall vignettes of her subjects with essays on behavior and she engages in a psychological experiment herself in the middle of the year by surprising her subjects with a secret challenge—experiments that force them to change how classmates see them. The essays delve into such subjects as the secrets of popularity, why being excluded doesn’t mean there’s anything wrong with you, why outsiders succeed, how schools make the social scene worse—and how to fix it. The book ends (beginning on Page 376) with 31 tips for students, parents, teachers and schools on dealing with deviations from what conventional wisdom considers "normal." Throughout the book there are scores of insights on such subjects as why 7th grade is the worst (Page 244 ff) and why schools are wrong to engage in "outcast profiling," identifying and demonizing students who are "different" and then proceeding to "keep them under surveillance, remove them from the school, or subject them to intensive therapy until they are able to be like everybody else...." (Page 204). 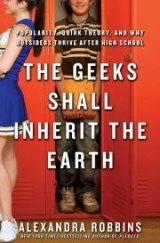 Especially during a period when bullying and student suicides appear to be on the rise, "The Geeks Shall Inherit the Earth" is an important, very readable and entertaining book. Alexandra Robbins is the New York Times bestselling author of "Pledged" and "The Overachievers". Her work has appeared in The New Yorker, Vanity Fair, The Atlantic, The Washington Post, and other publications. The recipient of the 2007 Heartsongs Award for contributions to the mental health of children and young adults, Robbins has appeared on numerous television shows, including 60 Minutes, the Today show, The Oprah Winfrey Show, The View, and The Colbert Report.